So you’ve reached the point in your DJ career when you need the best DJ controller on the market, to make sure your sets are simply amazing from the first track to the last. It’s time to get serious about high-end pro DJ controllers! Here we’ve rounded up the best 5 DJ controllers on the market in terms of quality/functionality vs the price. Let’s get right to it with this first to fifth round-up. Three high-resolution 7" touch screens. Fitted with AC inlets for high-quality sound. The XLR combo of input jacks for Mics provide professional Mic section. Mix audio and video track effects. Record box PlusPack compatible with a range of DDJ-R controllers. Serato DJ Enabled with high-resolution screens. 4-channel mixer with 24-bit built-in audio interface. Touch sensitive EQ and FX controls. 7" vinyl discs and real slipmats for unrivaled tactile control. The mixer can operate alone with or without a computer. Fitted with Serato DJ software. State-of-art DJ Controller, stand-alone mixer and decks. High-resolution displays responsive to touch sensitive controls. Instant editing options using color-coded pads. Plug and play feature enhanced with Traktor Scratch Pro software. Multi-colored performance pads controlling eight types of Serato DJ functions. Four external inputs for connectivity with analog turntables, microphones and CD players. Large jog wheels optimized for the perfect scratch response. Four channel mixer used along with external sources like turntables. The DDJ-RZX is the newest PRO DJ Midi controller from Pioneer DJ for multi-media DJing and wins first place in this roundup of the best DJ controllers. It borrows several characteristics from the CDJ-2000NXS2 and the DJM mixer series and is the first Rekordbox DJ-specific controller to include a Rekordbox video feature and onboard displays. 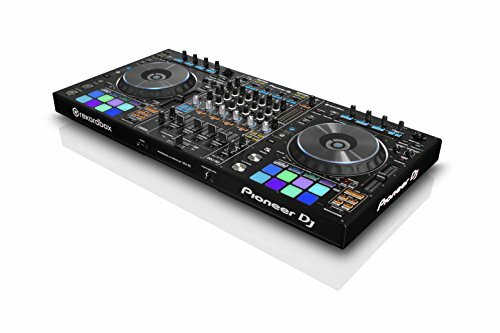 Designed for DJs on the go, the Pioneer DDJ-RZX comes with three 7-inch touch screens that allow full control of audio and video features by viewing track info, videos, and waveforms. Video monitoring and previewing is now sharper on the 7″ screens giving access to all the vital features found in the new rekordbox video Plus Pack (that supports MP4, WMV, AVI and other types of video files) and the rekordbox DJ. The DDJ-RZX resembles the DDJ-RZ, but the additional features (screens, layout, upgraded FX and other functionalities) set it apart from other DDJ-R models. 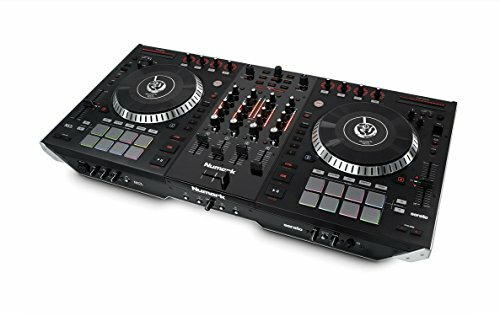 A humble second place in this best DJ controller roundup is the Numark NS7II presents a four-channel mobile Pro DJ Midi Controller and Mixer. It is an advanced model of its predecessor NS7 that offers a new set of features (upgraded mixer channels like the 4-deck mixing feature and high and low torque settings) for enhanced performance. As such, DJs can now mix a favorite acapella song over an entire mix or mix two songs while adding in parts of a third song for a whimsical performance. The new Numark NS711 retains the stellar build quality, footprint size as its predecessor but adds EQ and FX controls as well as the 16 AKAI Professional MPC pads to control slicers, loops, and hot cue features. The DDJ-RZ was the primary controller for rekordbox DJ (before the advanced DDJ-RZX) that came with high-quality components for intuitive control demanded by the current generation of DJs and comes third in our best midi controller roundup. It provides flexibility and convenience to prepare tracks in the rekordbox while getting a plug and play performance directly from the laptop. 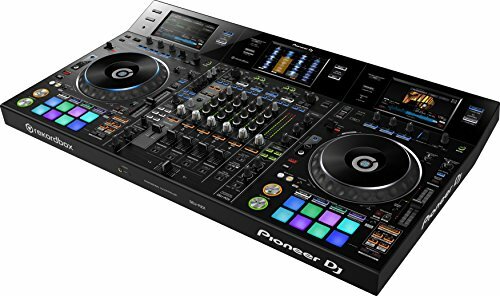 The Pioneer DDJ-RZ borrows the large jog wheels feature from the CDJ-2000NXS series and comes equipped with the club-quality magnetic crossfader. What’s more, the controller has four pre-set sound color FX buttons: Jet, Space, Filter and Pitch which are compatible with the latest rekordbox DJ Plus Packs. While not quite the best deejay controller out there right now, it’s a worthy third place. The Traktor Kontrol S8 comes fourth in the DJ equipment HQ best DJ controller roundup and introduces a new way of mixing and performing with its four-channel stand-alone mixer, upgraded performance decks, and professional audio interface. The touch-sensitive knobs, LED touch strips and faders light up the Traktor software allowing DJs to focus on performance while the S8 touch and see feature connects them with the music as well as the crowd. 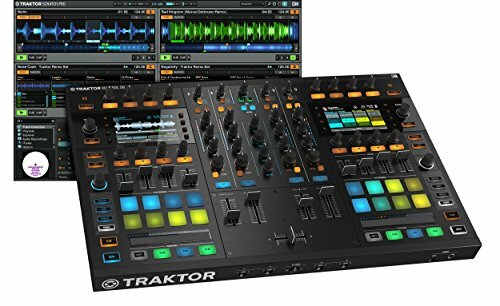 Of course, the Traktor Kontrol S8 is bigger and heavier than the S4 attributed to additional internal hardware for stand-alone mixer capabilities. The overall layout has also changed; the jog wheels have been replaced with F1 and X1 controllers while the LED controls feature near the top. The DDJ-SX2 controller comes a solid fifth in our best DJ controllers roundup and resembles its predecessor DDJ-SZ but comes with two additional features: performance pads enhanced with multi-colored LED cue points and a Serato DJ DVS upgrade. 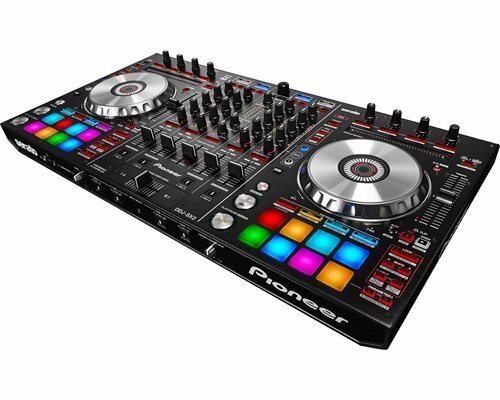 The latter feature of the Pioneer Pro DJ DDJ-SX2 DJ Controller gives DJs the ultimate control of the new Serato Flip functions like recording and re-playing hot cue sequences on track. The PRO Midi Controller also incorporates different buttons (start, record and slot) that allow DJs to create intuitive Serato Flip performances. Yes we’re giving it fifth place in this best midi controller roundup but it’s in no means a poor piece of DJ equipment.